Berkhamsted Town Hall (operated by Berkhamsted Town Hall Trust) dates back to 1859 and has been carefully restored and renovated to provide the best of both yesterday and the modern conveniences of today, Berkhamsted Town Hall offers three superb, versatile rooms of various sizes for wedding and civil ceremonies, receptions, private parties and meetings. Behind the Striking Gothic façade of this unique listed Victorian building you will discover unobstructed room space with capacities of up to 200 people depending on your type of function. Original features include fireplaces, windows, carvings, wood panelled walls and a barrel vault ceiling and minstrel’s gallery in the Great Hall. Numerous organisations make use of the extensive facilities and a wide range of activities are catered for, from yoga and tae kwon-do to pliates and tai chi. Visit the useful links and details page to see what’s available. Facilities for the disabled include special lifts and cloakroom. 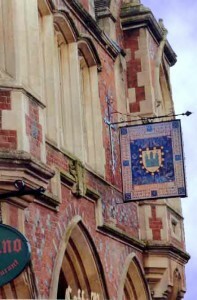 We are conveniently situated on Berkhamsted High Street in the heart of this historic town. 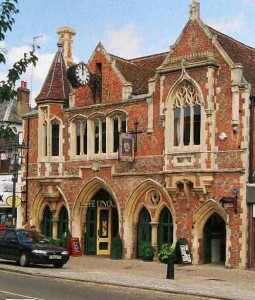 Berkhamsted Town Hall is a staffed building offering the services of an experienced Town Hall Manager, Housekeeper and Catering and Bar Contractors.